Cyclists will soon be able to charge up their mobiles on the go with a new bicycle mobile phone charger from Nokia. Nokia introduced a bicycle charger this week targeting customers in developing countries with limited access to electricity. The mobile phone giant also hopes that the bike charger will catch on with cyclists in the UK and in Western Europe. "We are targeting the initial rollout in the developing markets, but we do, of course, see the potential outside of these countries," Nokia spokesman Leo McKay told Reuters. "In cities like Amsterdam for instance, where bicycles are probably the most common means of transportation, the supply of free, environmentally friendly power is pretty much limitless." The Nokia Bicycle Charger Kit consists of a Nokia Bicycle Charger DC-14, Nokia Phone Holder for Bicycle CR-124, and a Bottle Dynamo. "Users will get free and efficient charging from cycling as the dynamo starts charging when a bicycle speed of 6 km/h is reached and stops at 50 km/h, matching the efficiency of a normal charger when the bike is traveling at 12kmh," Nokia's press release informs us. 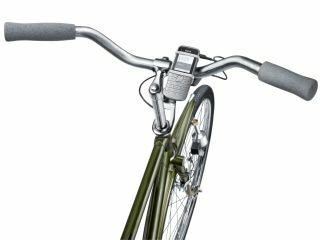 John Nichols, Head of Marketing, Nokia UK said: "The innovative Nokia Bicycle Charger Kit gives people even more freedom to use their Nokia handset without worrying about battery life. The charger will go on sale later in 2010 for around 15 euros.